Pat in concert with the RTÉ National Concert Orchestra. Tickets on sale now. On Wednesday 22nd May 2019 the biggest night of my career to date and a 10 year musical journey which I’ve documented on social media has seen us, along with your loyal friendship and support, arrive at this exciting point. It’s been a life’s dream and ambition to be one day lucky enough to receive the acknowledgement for my music and work by the best, and this concert and invitation from our National Broadcaster RTÉ and The RTÉ Concert Orchestra to perform my work on Ireland’s biggest stage is as big as it gets. It hasn’t always been easy and without the belief and support from my family and friends especially here on Facebook you have always instilled the belief in my music which kept me playing my guitar and composing. Folks we have got to this point with zero financial support and zero record contract funding, just goodwill and honest music. I remember 4 years ago I asked you to support and Fund my ‘CityJam’ album project which you did and I promised you all it would open doors and it has. I can’t begin tell you how much it will mean to me, my music, and career to walk out on to that stage on the 22nd May to a Sell Out Concert Hall. With your support once more finally this will be a massive massive achievement if we can do it. We have Sold Out every other Room at the NCH to date so let’s take on its biggest challenge. It’s an opportunity of a lifetime and all my life I’ve waited and worked for this. The music on the night will be arranged and conducted by a fantastic musician and fellow Navan and Golden Globe Nominated composer Brian Byrne. Buy a ticket, tell your friends, please come along it’s so important. Tickets are NOW on sale from the NCH. Thank you so much. 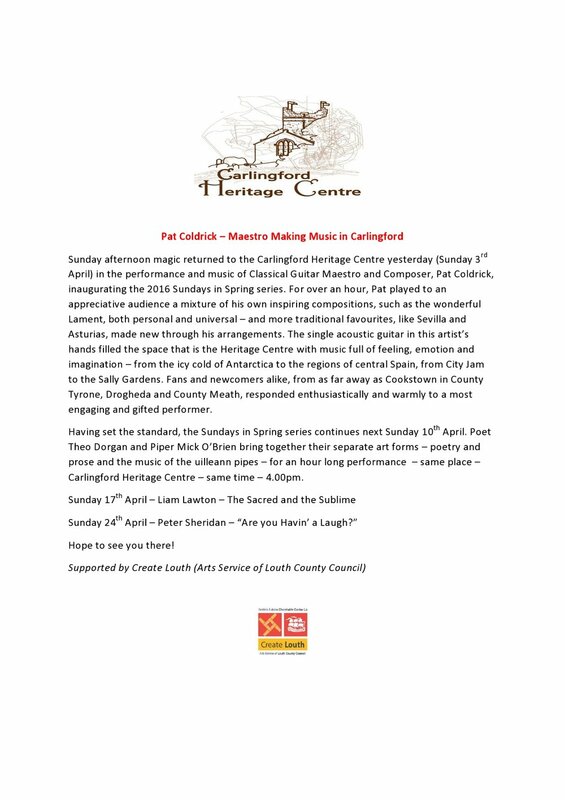 Pat Coldrick is an Irish classical guitarist and composer who has been working for the last six years at home but has also performed recitals in Europe, the USA and Russia. 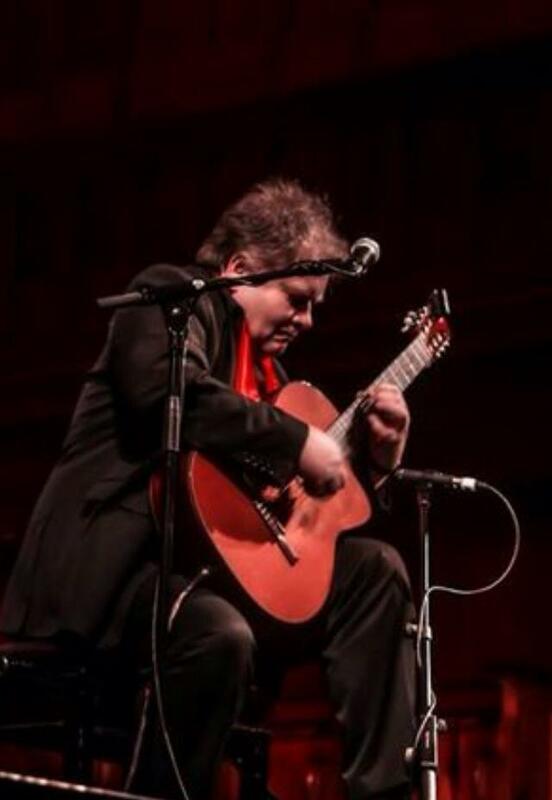 Pat has been described as ‘pushing the boundaries of classical guitar’ with his musical interpretations and compositions and has made classical guitar exciting, interesting and more accessible to music lovers in general. 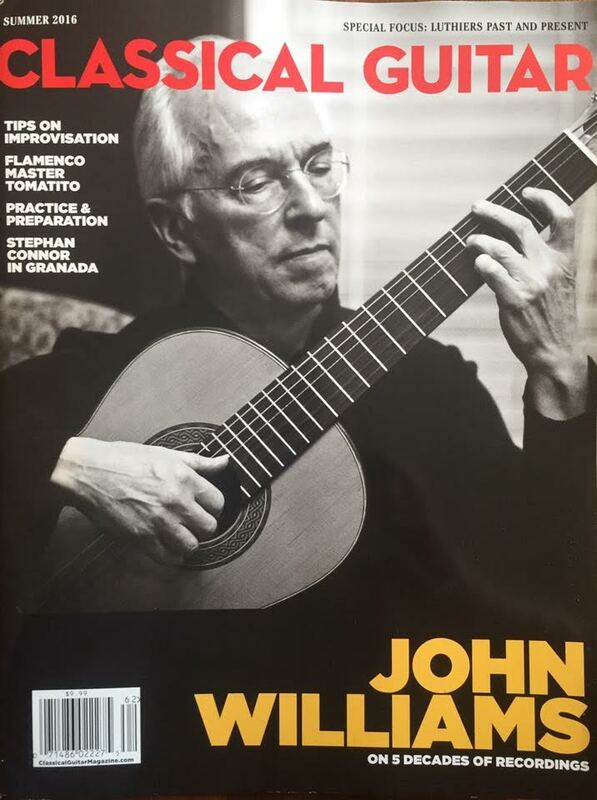 Through his interpretation of music and by exploring and embracing new technologies he strives to enhance the dynamics of the classical guitar and bring his music to a wider audience both at home and abroad. Pat’s musical formation has not followed normal traditional lines. He is mainly self-taught and in a relatively short period of time he has put together an impressive body of work and has gained considerable recognition throughout Ireland and internationally both as a performer and composer. Pat’s skillful and atmospheric connection with his audience is an art form in itself and is in total contrast to other more formal classical performances. 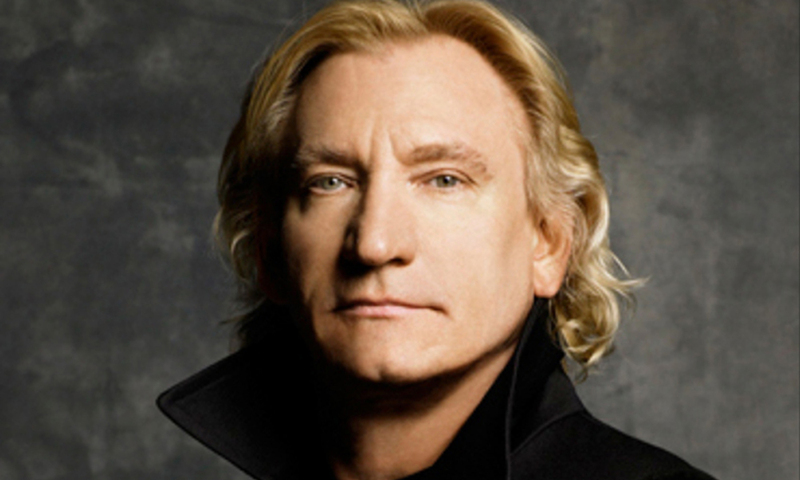 He has a very easy going, laid back and unassuming approach and his interaction with the audience and philosophy of ‘entertaining’ rather than ‘educating’ his listeners is a breath of fresh air. To date Pat has produced 3 albums – Cayendo (2010), CityJam (2014) and the latest Ophelia. Since the launch of these albums his music has been played on all the major radio stations in Ireland and many others abroad. 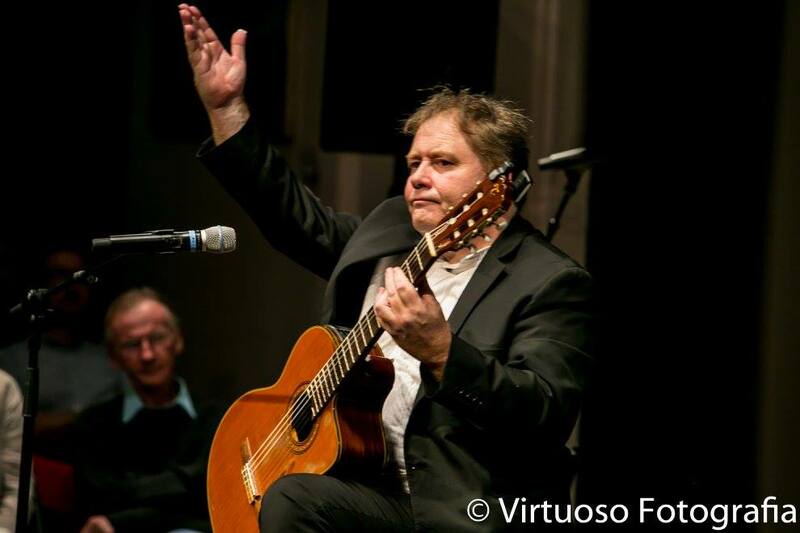 Pat is now widely acknowledged as a very accomplished musician and composer who is succeeding in bringing classical guitar music ‘centre stage’ where he so passionately believes it belongs. The new album Ophelia is out now featuring contributions from Irish musicians Finbar Furey, John Sheahan, Daire Bracken and Peter Eades. Available now from www.patcoldrick.com and selected record stores. Knobloch Strings have partnered up with Pat following the release of Ophelia. Knobloch manufacture High Quality Guitar Strings and are handmade in Spain. Pat said ‘Im delighted to be now using and endorsing Knobloch Classical Guitar Strings. I’ve experimented with several string combinations over the years and Knobloch have better tone, better volume, response and perfect intonation’. The new Album Ophelia is out on November 14th 2018. This is Pat’s 3rd studio album and is wonderful collection of original compositions and classic Irish melodies. It will be available on this website patcoldrick.com and from all digital stores from November 14th. You can also buy from Claddagh Records, Temple Bar, Dublin. Pat has recently teamed up with 'Strings by Mail', a U.S online source for quality Classical, Flamenco, Acoustic and Electric Guitar strings. Delighted to announce that Pat will Boyle Arts Festival week this coming July 25th and July 26th. Pat said he was 'Delighted to be invited to perform at this year's Boyle Arts Festival 2017'. See https://www.boylearts.com/event/pat-coldrick/ for more details. 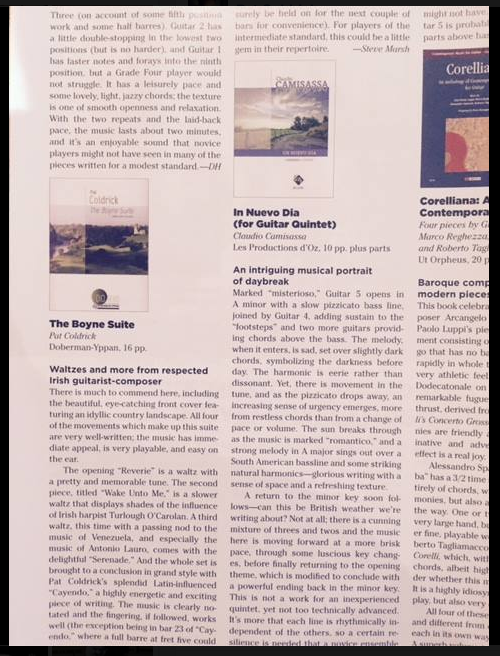 Another great review in the latest issue of Classical Guitar Magazine of Pat's compositition 'The Boyne Suite' Check out the image below. 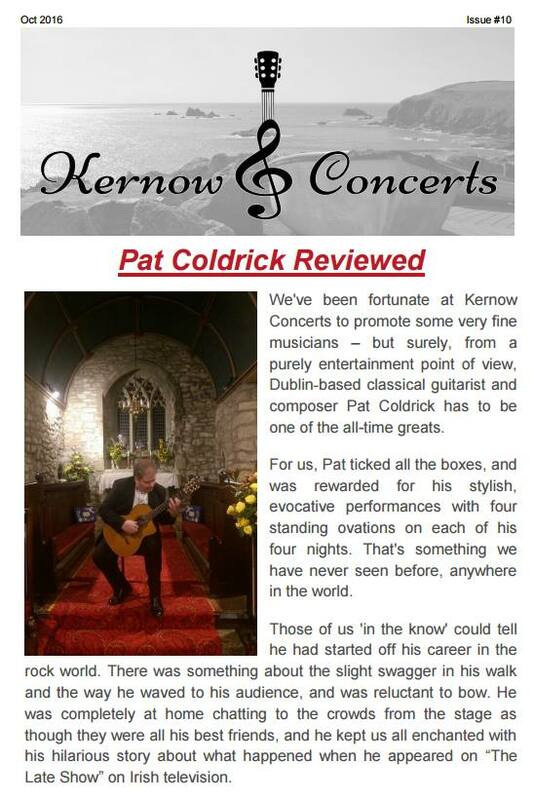 Here's another great set of reviews after Pat's perfomace at The Kernow International Concert Series in Cornwall. Kernow Concerts is a Cornish promotional team that specialises in promoting concerts of classical guitar and early music. Here it is folks! Some wonderful moments captured at The National Concert Hall, Dublin, Ireland last wednsday night. What a brilliant audience and special occasion for the Classical Guitar in Ireland, our 3rd SELL OUT appearance here! Proud moment and a life's dream. 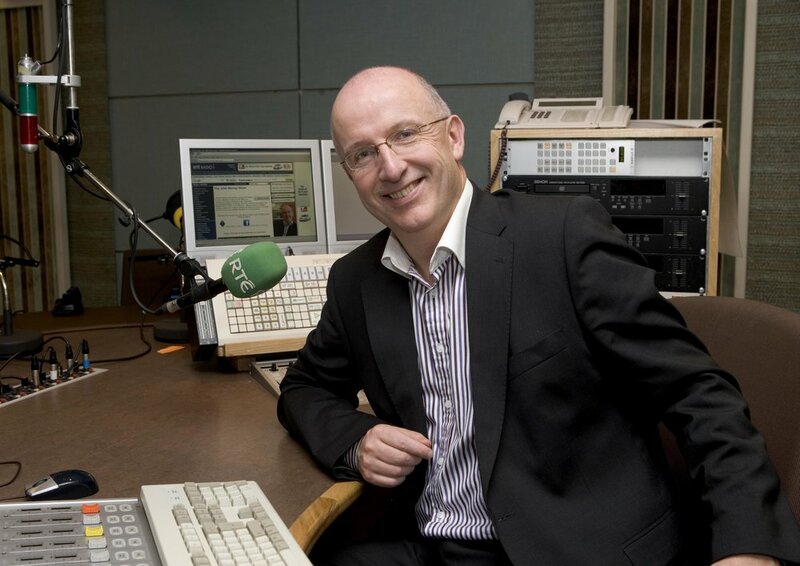 So many people to thank who made it possible, in particular Aonghus McAnally, Carl Corcoran Pat James, Shay Byrne The Blue of the Night RTÉ lyric fm Radio Nova 100 Marty Whelan and Sean Brophy and their kind mentions on their various radio programmes. Also Paul Holland Meath Chronicle The Irish Times to name but a few. Delighted to meet Marty and be invited on to his Morning Show on RTE Lyric fm to speak about my music and up-coming concert at The NCH. Listen back to the interview on the link below. 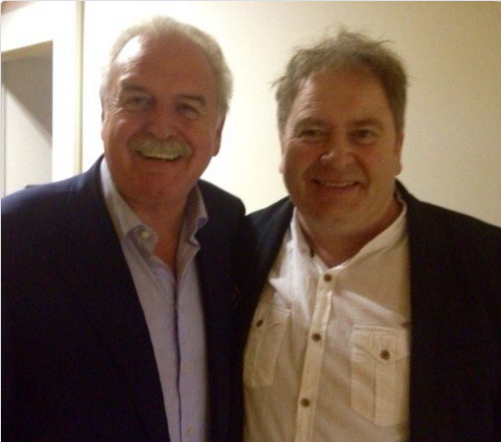 Pat recently performed a hugely successful concert at Cork's Triskel Arts Centre. Here's a couple of images from the night. What an exciting and well deserved accolade for Classical Guitarist Pat Coldrick to be invited to give a recital and address students in UCD. Dr Damien Dalton, Senior Lecturer in Computer Science, and Prof Joe Carthy, Dean of Science, believesthat Pat's intriguing career path which led him back to music after 25 years together with his undoubted musical talent demonstrates the real spirit of entrepreneurship and vision and provides the backdrop for an inspirational story for their students interested in the whole area of Enterprise, Innovation and Entrepreneurship. Pat is due to 'take the podium' in September.....I've no doubt he'll graduate with flying colours. Pat is set to perform his first UK concert at the Theatre Royal Concert Hall in Nottingham with English singer and actress Jane McDonald. McDonald rose to fame as a media personality and broadcaster after her appearance on the BBC show The Cruise. She has since co-presented a number of daytime shows, including Loose Women between 2004 and 2014 and ITV programme Star Treatment in 2013. This fabulous venue holds up to 2000 people and is set to be a magical night.